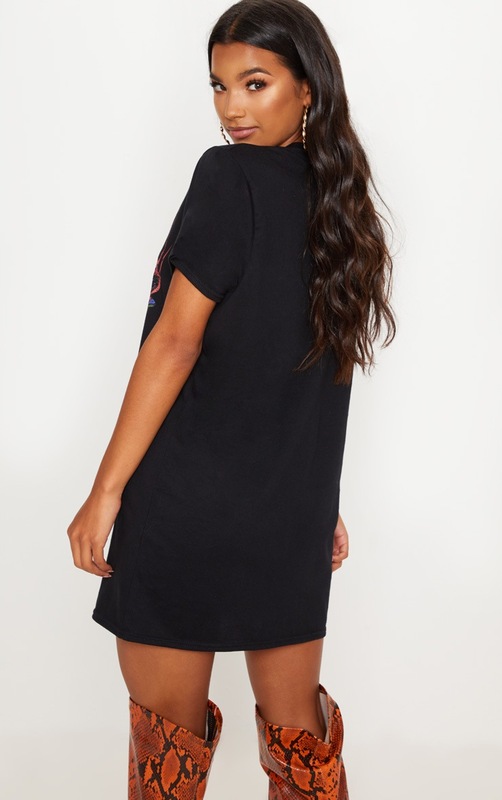 Girl we are crushin' on this tee dress girl. 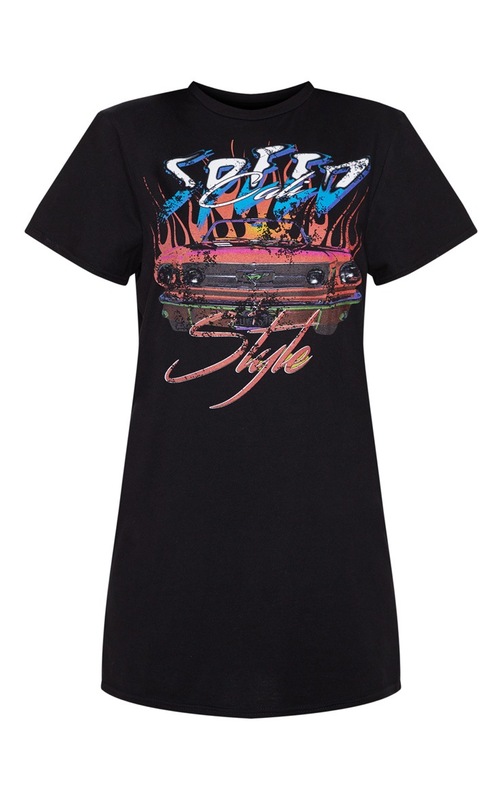 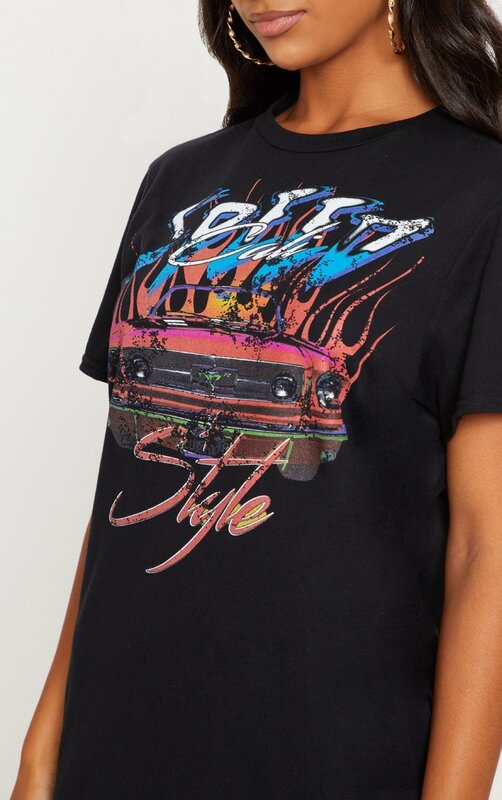 Featuring a black material with a car slogan and an oversized fit. 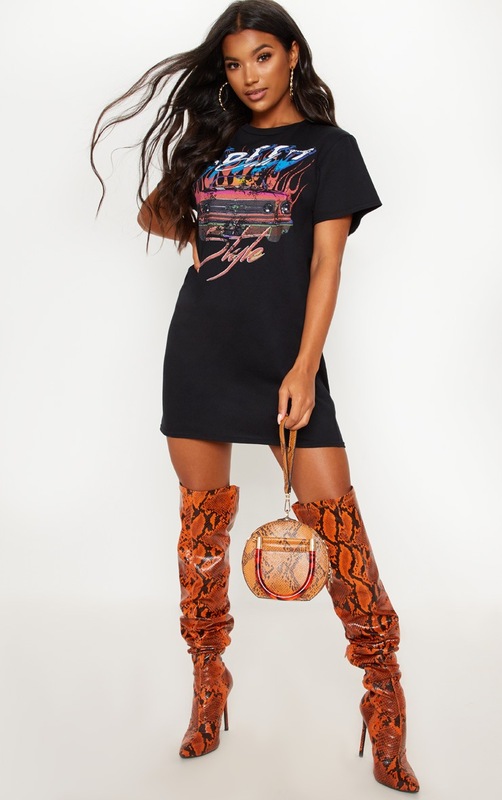 Team this dress with thigh high boots and your biggest hoops for a look we are loving.